The African Women's Development Fund's (AWDF) Women's Economic Empowerment Policy Brief is an outcomes document of our economic empowerment and livelihoods convening in Cape Town in 2013, where participants raised critical issues and contributions around the theme, and how they affect women's economic participation, empowerment and livelihoods in Africa. 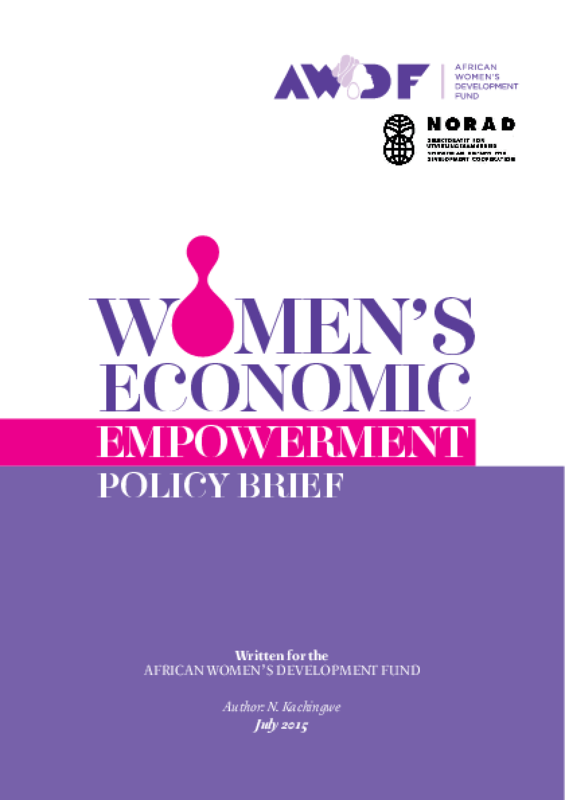 This document also serves as an important reference point for a deeper understanding of the AWDF thematic area and the work our organisation does in promoting African women's economic and livelihood development. Copyright 2015 by African Women's Development Fund. All rights reserved.